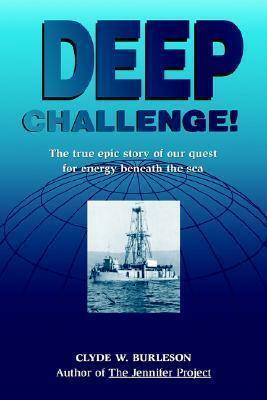 Clyde W. Burleson - DEEP CHALLENGE! DEEP CHALLENGE! is an exciting inside look at our efforts to recover deposits of oil and gas from beneath the sea. It is a true story which captures the spirit and excitement of a perilous business that has become a massive and vital industry. This book is about dauntless individuals who possess guts, vision, and dedication. It reveals the excitement, suspense, elation, and hazards of prospecting for oil in the ocean depths and undertaking dangerous marine operations. DEEP CHALLENGE! blends oil patch history, eyewitness accounts of disasters, and open access to the official files of Global Marine Inc., the recognized leader in offshore drilling, into a moving and exciting narrative. DEEP CHALLENGE! is a human story of colorful people with character and toughness who met difficult situations with a can-do attitude.